Soothe your mid-winter blues with this calming yoga routine for anxiety relief. With your hands and knees on the floor, place a block under your chest. Straighten your legs and lift the pelvis up. Push the floor away to extend and lift the torso. Keeping your arms straight, release your neck and rest your head on the block. Adjust the height of the block or add a blanket to rest the head easily. Keep the arms and legs strong and the face soft. Hold for 2 minutes. Place your hands a few inches away from a wall. From Adho Mukha Svanasana, walk the feet closer to the wall, lifting the hips. Raise one leg straight up toward the ceiling, and push off the other bent leg to kick up and take the feet to the wall into Handstand. Keep both arms straight and stretch the heels up the wall. Spread the palms and extend from the arms through the sides of the chest up to the feet. Lift your head slightly to look at the wall. Hold for up to 1 minute. If you can’t get into Handstand, try kicking up several times, working on taking the pelvis toward the wall as you kick up; then repeat Adho Mukha Svanasana. Sit backward through a folding chair, preferably one that has a large opening in the backrest so that you have ample space for your legs. Holding on to the sides of the top of the chair, lift and broaden the chest while lying backward over the seat. The edge of the chair seat should support you near the middle of the back. Rest the top of your head on a bolster or folded blankets. Straighten and extend the legs. Open the chest and move your arms in between the front legs of the chair to grasp the back legs of the chair. If you cannot straighten your legs, raise your heels onto blocks or some other support. Hold for 5 minutes. 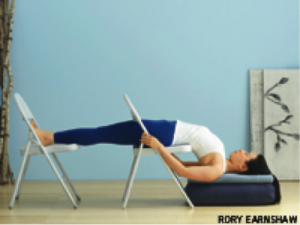 To come out of the pose, hold near the top of the chair, bend your knees, put your feet flat on the floor, and keep your chest open as you pull yourself up. Once upright, stay for a few moments with your eyes closed. Keep the props set up as in the previous pose, but add a second chair for your feet and more support (a second bolster or more blankets) for your head. 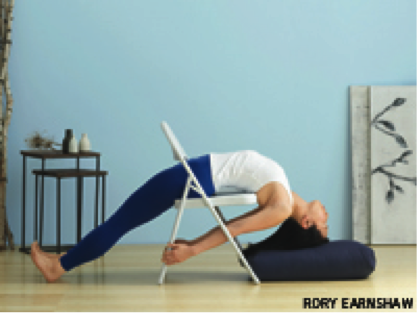 As in Viparita Dandasana, hold on to the top of the chair as you lie backward on the seat. Slide off the chair until your shoulders reach the bolster so that your shoulders and head are resting at the same level. Place your feet on the second chair and straighten your legs with the heels apart. Relax the abdomen and allow it to extend. Hold for 5 minutes, and then come out of the pose as you did in Viparita Dandasana. This blanket setup is different from the typical Shoulderstand. Here, the head is elevated and the back of the neck lengthens, which allows the face to recede and concentrated tension to dissipate. To begin, roll up one blanket. Then make a thicker roll with two blankets. Open your mat against a wall and place the thin roll against the wall and the thicker roll about 1 foot away from the wall. Place a bolster lengthwise against the second roll. Lie on the bolster, shoulders on the thick roll and your head on the thin roll. Bend your knees, lift your pelvis, and place your feet on the wall. Walk your feet up the wall and straighten your legs. The thin roll supports the back of the head so that the back of the neck lengthens between the two rolls. If the head touches the wall, move it closer to the bolster. Relax the arms, bend your elbows, and rest the back side of your hands on the floor. Although you’ll feel a stretch in your neck, most of your weight should be on the shoulders. Your neck should feel relaxed. Do not push the back ribs toward the chest, as you might in other versions of Shoulderstand. Instead, allow the sternum to move away from your chin and the upper back to round slightly. Relax the temples and keep the jaw soft. At first, this variation may feel awkward. Practice it several times to experience the desired effect. If you can, hold for 5 minutes. Sit in Dandasana (Staff Pose) with a folded blanket under the buttocks, and put a bolster lengthwise on top of the thighs. Place a folded blanket on top of the end of the bolster closest to your feet. Extend your torso forward over the legs, and catch the feet with your hands. Rest your forehead on the blanket and your abdomen on the bolster for 3 minutes. Use more support if the props aren’t high enough, or place a chair in front of you and prop the bolster against the seat of the chair. Stack a couple of folded blankets on top of a bolster near a wall. Put a block between the bolster and the wall and a blanket on the floor in front of the bolster for your head and shoulders. Sit on the side of the bolster and roll your sacrum onto it, lifting your legs up the wall. Scoot yourself close to the wall so that the buttocks touch or come near the wall. Gently lower your shoulders and head to the floor. If you slide off the bolster, you can push yourself closer with your hands on the floor. Straighten your legs and press the thighs into the wall as you open your chest. Rest for 5 minutes. To come down, bend your knees, push your feet into the wall, slide away from the wall, and rest your back on the floor. End your practice by resting for 10 minutes, with eyes covered if you’d like, in Savasana (Corpse Pose). Deepen your practice of Iyengar yoga and experience a new level of self-awareness that brings clarity, peace, and strength. 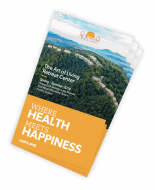 Marla Apt hosts the Iyengar Yoga Immersion at the Art of Living Retreat Center from August 1-4, 2019. 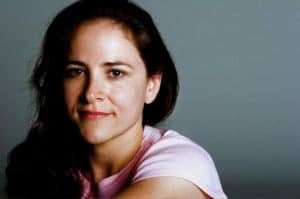 Marla Apt, a Senior Intermediate Level certified Iyengar Yoga teacher, is based in Los Angeles, where she teaches public classes and conducts teacher training in addition to teaching workshops in the US and internationally. This article was originally published in Yoga Journal Magazine, and is reposted with permission from the author.